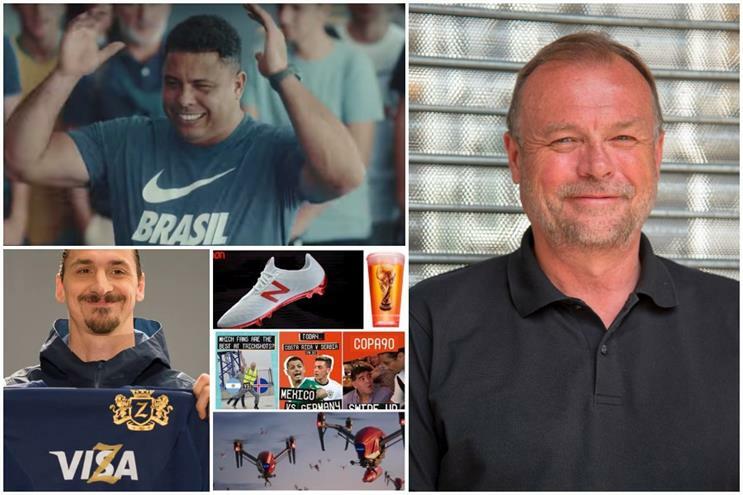 Bruce Crouch, the creative consultant and father of Peter, reviews the current crop of World Cup football ads: which brands deserve a Golden Boot and whose marketing deserves a kicking? 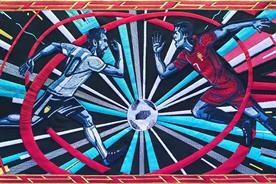 It’s started: the fever, the all-devouring virus that infects us all as the World Cup approaches. We’ve had a player’s body ink analysed (wrongly) on the front pages. Harry Kane has said we can win the World Cup, which by the time it starts will trust me mean we will win the World Cup. And all the players' weights have been bizarrely released for us to pore over. I’ve been there – literally. In the same hotel as the Wags when they became more famous than the players. When my son’s dance at David Beckham’s party became a goal celebration, that went global and led to him performing it for Prince William and being analysed on CNN. 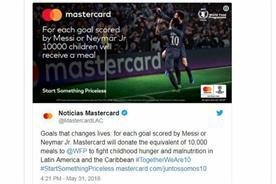 Incredibly, this fever also infects usually sane, marketing directors who feel the need to abandon all their fiscal principles in desperate attempts to harness the "feel-good factor" they think the World Cup generates. It’s therefore only fair to put these highly paid prima donnas under the same scrutiny as the players. Fake locations, fake smiles and Nicole Scherzinger doing Martha Reeves' Dancing in the Street. It had me crying in the living room. The money that was allegedly used to secure the next World Cup could have been better spent here. Verdict: Out in the First Round. Getting on screen performances out of footballers is notoriously hard. Whoever put this together however did well with Sterling, Walker and Cahill. I suspect the rapport with the kids was key. Most footballers are actually young family men in my experience and good with kids. The grassroots message is nice too. A small player deservedly through to the next round. There’s always a nicely edited hi-tech boots commercial. Don’t think these will grab the imagination in the way Nike’s design of the new Nigeria shirt has, though. An incredible 3 million sold so far and counting. Now to one of the big teams: Budweiser, according to its team talk, has made "AB InBev’s biggest ever commercial campaign". Eight million Budweiser cups will be delivered globally containing audio detectors and LED lights, while the Bud bot offers a "range of tools to augment the fan experience". The home deliveries sound a good idea, and the Bud Boat on the Thames sounds a laugh, but the TV ad is a massive own goal. 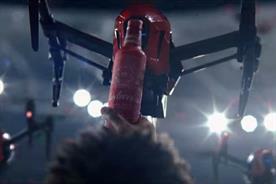 Drones delivering Budweiser cups to worldwide locations? It’s the sort of insight-free corporate cobblers that fans hate. It’s set to Stop the Rot but sometimes, as the veteran broadcaster John Motson said, "the art of commentary is to say nothing". A big team crashes out at the first hurdle..
Post match interviews are notoriously dull and cliché-ridden and Currys agency have creatives who know this and have made a nice little film. The Currys offer itself is a good one too. I suspect the ad won’t live long in the memory but then neither do post match interviews. Sneaks into the next round through the back door. We love the fans and their daft rhythmic clapping chant. 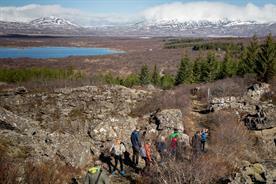 We love the place – as anyone who has had a night out in Reykjavik will testify. This campaign will include "cultural activity, fitness and well-being". 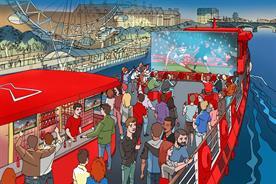 You mean for fans that want beer, a laugh and football? Terry Butcher, Eric Dier and Dominic Calvert Lewin sit on a sofa. I detect research here. Old England, current England and young England sit on a sofa. All your markets covered you see. It’s quite nice and inoffensive, in a Trevor Brooking way. It’s a cruel game though. 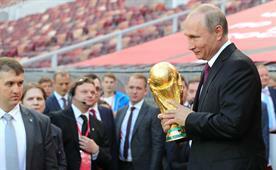 "A Fifa World Cup without me is not worth watching. I will qualify on my own": a great opening line from Zlatan Ibrahimovic. Believe me, I am no Visa fan. In the 2010 World Cup in South Africa, their branded buses took the corporates right to the grounds while we trudged through townships (which was great experience by the way). I then found out all Fifa's transport was run by [then Fifa president] Sepp Blatter’s son. Suddenly I wanted to use my vuvuzela in ways it was not intended for. The buses appear in this ad but even they can’t put me off. 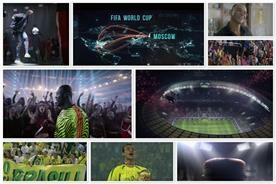 The ads are written by someone who gets football and has found an unusual route to goal. Real life has intervened and damaged Ibrahimovic somewhat though. In a Twitter exchange he said he would have put Real Madrid defender Sergio Ramos in a coma for had he done what he did to Liverpool's Mohammed Salah in last month's Champions League Final. Ramos replied: "But it wouldn’t have happened because you would never be in a Champions League Final." Ouch. But it hasn’t put me off this Visa campaign at all. This is a brave performance from a big player. I’ve always hated that player from one era versus a player from another era comparison. You know: was Pele better than Messi? Daft. Yet I found myself doing it with Nike’s World Cup commercial. Does the 2018 version pay homage to the 1998 one or just rip it off? I get the justification: "this shirt has history". The new one as you’d expect is beautifully done. I love the skills on show, there are some nice humorous moments including the original Ronaldo hitting the post again and the music is wonderful. The music is interesting, because when I went back to the 1998 version the samba music sounded so slow, even dull. The game is a lot quicker today. The players this era are not the household names of 1998 and the ball kicked to different locations has been done so many times since 1998. I did like the young boy giving the team talk, though. After the relegation of "Nothing beats a Londoner" this is a return to form. 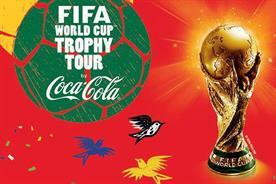 Like World Cup fever itself, it’s infectious and for that reason it gets into the final.